Earth is under a deadly threat! The aliens have sent a huge meteorite to crash our planet! Only this resourceful doctor can prevent the disaster! Help him collect all the dynamites in order to set the meteor on fire! 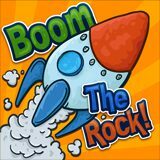 Games Similar Boom the Rock!